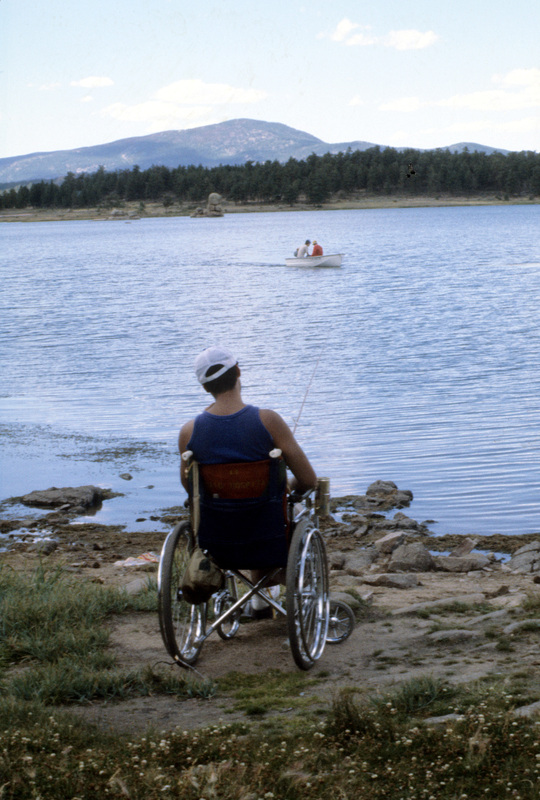 Craig Hospital Certified Therapeutic Recreation Specialists (CTRS), volunteers and local outfitters have coordinated camping trips all around beautiful Colorado for decades. In the early 80s the shorts might have been shorter and you might have found less advanced adaptive equipment for outdoor adventure, but the mission was the same. The Therapeutic Recreation Program at Craig Hospital promotes overall fitness and well-being, with the goal of improving, maintaining or restoring physical strength, cognition, and mobility through recreational activity. Our Therapeutic Recreation staff and volunteers continue to bring our outpatients and alumni on multi-day excursions through the Adventure Program including camping, rafting, and other water sports. Just like they did years ago, these trips continue to allow patients to access and enjoy to the great outdoors while providing practical problem-solving opportunities outside of hospital walls. "For patients who have recently discharged there is often hesitation to engage in “adventure” type activities or travel," says Tom Carr, Director of Therapeutic Recreation. "This is the reason for the Craig Adventure Program and for trips like camping and rafting. We want to facilitate a positive first experience where our alumni can gain the confidence and skills needed to participate in these activities independently with friends and family." Click below to learn more about our upcoming Adventure Program outings. The Adventure Program at Craig Hospital recently had the opportunity to take a group of outpatients on an overnight camping and rafting excursion near Cotopaxi, CO.